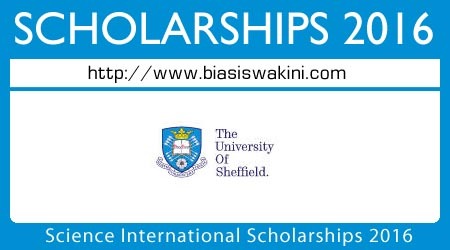 University of Sheffield is pleased to offer a range of scholarships 2016 to students from Malaysia who show exceptional academic potential and are starting their studies at the University of Sheffield in September 2016. We are pleased to offer Science International Scholarships to all international undergraduate students commencing their studies in the Faculty of Science in September 2016. The scholarships are worth £2,500 per year each. - The scholarships are for full-time and part-time students only. Students studying via Distance Learning are not eligible for the scholarships. 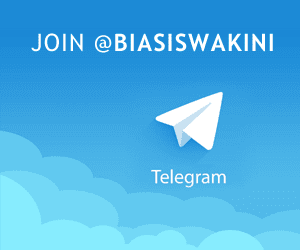 - The scholarships will be awarded unconditionally in the first year of studies. Receipt of the award in subsequent years of study is subject to the achievement of a 60% overall average mark in the previous academic year. - The scholarships will not be applied during any optional or compulsory study abroad periods or year in industry. - The Scholarships will not be awarded where partial funding is applicable from an external body* and there is an agreement already in place between the external body and the University of Sheffield to offer a tuition fee discount to the student. - The Alumni Reward can be awarded in conjunction with other University of Sheffield scholarships as long as the individual does not become fully funded, for tuition fee purposes, as a result of the sum of these awards. 0 Komentar untuk "Science International Scholarships 2016 For International Undergraduate Students"